Bureta Faraimo (born 16 July 1990) is a New Zealand professional rugby league footballer who currently plays for the New Zealand Warriors in the National Rugby League. He plays at wing. Born in Wellington, New Zealand, Faraimo is of American Samoan descent and played his junior rugby league for St. George, New Zealand. In 2009 and 2010, Faraimo played for the New Zealand Residents. In 2010, Faraimo trialed with the New Zealand Warriors Under 20s team but didn't get a contract. Later that year, while playing for the Wainuiomata Lions, Faraimo was selected to play for the Wellington Orcas in the National Competition, scoring 12 tries in his first 3 games. 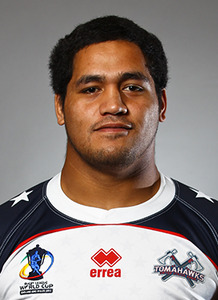 In 2011, Faraimo moved to Australia to play for the Mackay Cutters in the Queensland Cup for more rugby league exposure. In just half a season, Faraimo had scored 29 tries. In 2011, Faraimo played for the Queensland Rangers team. 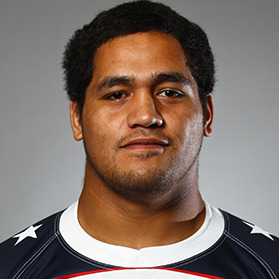 In 2013, Faraimo was selected in the United States 2013 Rugby League World Cup squad, qualifying because his father was born on Swains Island, an island administered by the United States as part of American Samoa. In November 2013, due to the exposure from the World Cup, Faraimo signed a 2-year contract with National Rugby League team, Parramatta Eels. In Round 21 of the 2014 NRL season, Faraimo made his NRL debut for the Eels against the Cronulla-Sutherland Sharks. He scored two tries on debut in the Eels 32-12 win at Remondis Stadium. On 21 September 2014, Faraimo was named at wing in the 2014 New South Wales Cup Team of the Year. On 4 April 2015, Faraimo re-signed with the Eels on a 1-year contract.